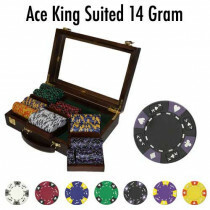 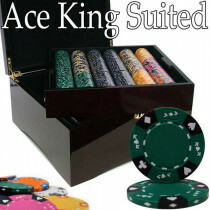 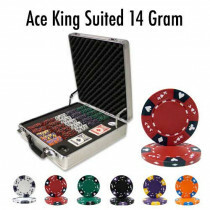 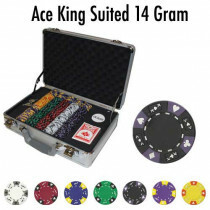 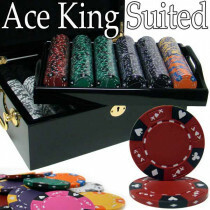 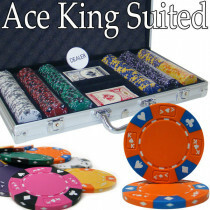 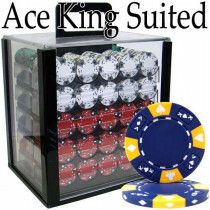 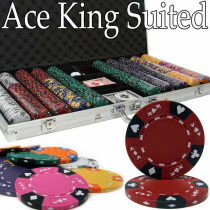 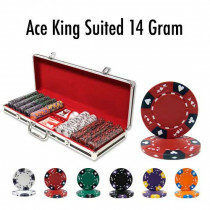 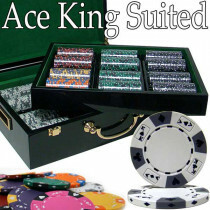 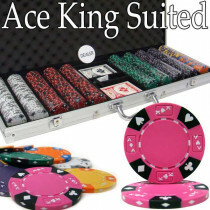 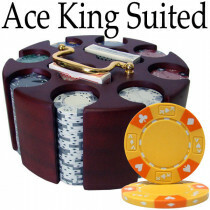 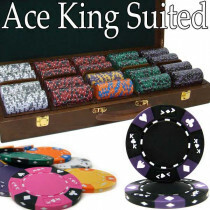 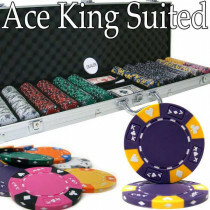 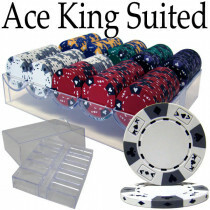 The Ace King Suited 14g Poker Chip Sets feature a simple but classic design on a quality composite chip mold. 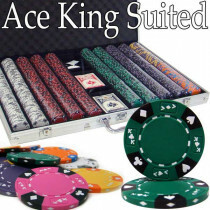 The chips have all four suits around the edges, with two aces and two kings. 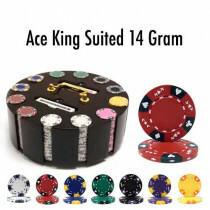 They also feature diamonds around the chip edge and an integral edge spot that sets these chips apart. 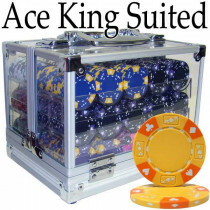 If you switch between cash games and tournament play, you'll love these chips. 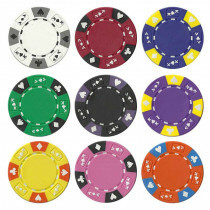 Because the chips do not have denominations, you can use them for any chip values you need. 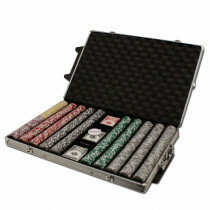 For a tournament, you may need $100, $500 and $1,000 chips, for a cash game it may be $1, $5 and $25.